About 30 minutes before sunrise, the morning sky turnes a deep shade of blue, often referred to as the "blue hour." In this vantage point of the capitol in downtown Austin, low clouds drifted by and all was quiet and serene. About 30 minutes before sunrise, the morning sky turnes a deep shade of blue, often referred to as the "blue hour." 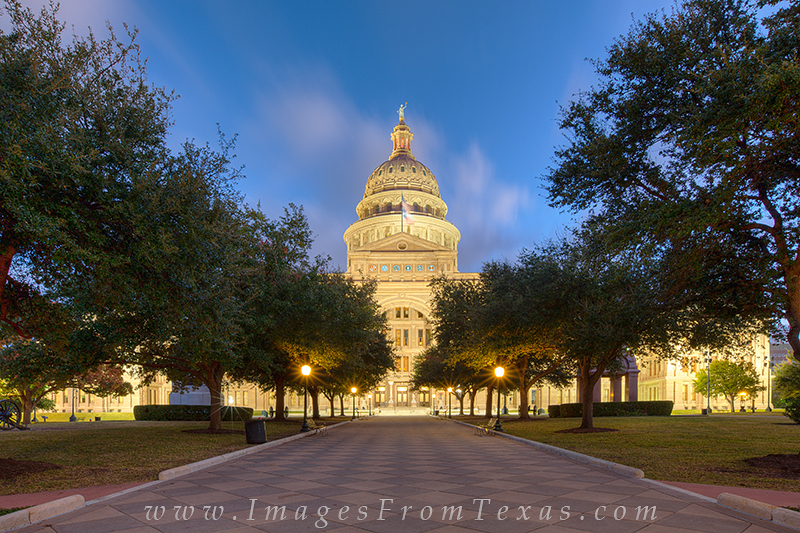 In this vantage point of the capitol in downtown Austin, low clouds drifted by and all was quiet and serene. Photo © copyright by Rob Greebon.